Learning to Work With Change. The Tibetan Buddhists teach us of four noble truths, the first being the existence of suffering. We don’t need a philosophy to know this, for we see it all around us. In India, the level of suffering can be as overwhelming as the slums that span beyond comprehension. While it is an ignorant dismissal to idealize poverty as “the simple life,” travel has indeed transformed my conditioned perspectives of necessity, wealth and humanity. If (and only if) our basic needs are met, there does lie a wisdom in simplicity; in the day to day subsistence that removes us from our illusions of tomorrow, of what does not yet exist. 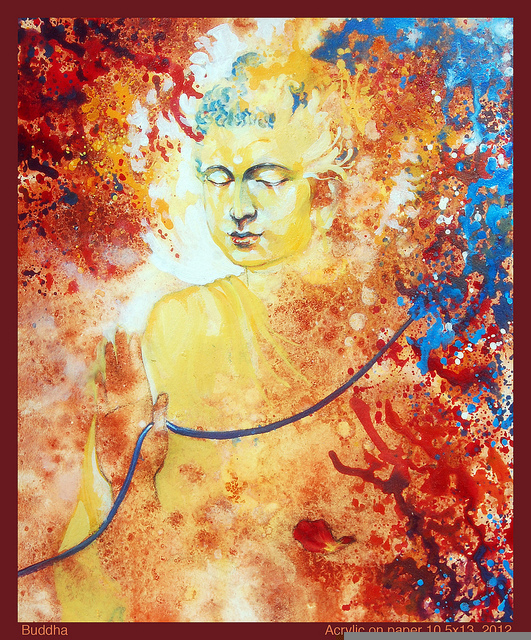 The fourth noble truth teaches us that freedom from suffering is possible and that liberation lies in the cessation of attachment. As I travel to one of the deepest and most untouched parts of India, a place which time seems to have forgotten, I am reminded of the precariousness of attachment—attachment to things, people, our pasts, our futures and ideas of who we are. As I walk through the narrow streets of a small Balti village in the more remote reaches of the Nubra Valley, I become part of a place that has witnessed centuries of tumultuous change and yet a place that retains the feeling that, actually, nothing has changed. Like one of Rumi’s unopened letters, this parcel of land and its people remain untouched, tucked beneath the guard of the great Himalayas, with the impervious peak of K2 casting an assertive presence across the valley below. The village of Turtuk perches laboriously upon terraces overlooking the banks of the Shyok river, where the Ladakh and Karakoram ranges of the Himalayas intersect and the ancient Silk Route curves north to Central Asia. A barren desert landscape ascends into green fields of barley surrounding narrow cobblestone passageways that link houses of stone and dried mud-brick. Their flat roofs of interlaced willow fronds are guarded by the shadow of giant apricot, walnut and mulberry trees. The turquoise torrent of the Skyok river nourishes Turtuk’s three hundred families before it traverses the turbulent Indo-Pakistan de-facto border seven kilometers to the north. A literal translation of “river of death,” the Shyok allegorically feeds the mighty Indus, the river that carved the valley of its namesake—the mother of civilization, the cradle of life. The entire region seems a symbol of the coalescence of opposites, of past and present, decay and growth, death and endurance; a series of carefully juxtaposed metaphors reflecting the dualities of the universe. In the northeast corner of the Old Town, a palace sits. A pair of wooden doors guards its threshold, humbly dilapidated from their former grandeur. Small hollows where diamonds once lay, obscured by crawling grape vines now rest abandoned—empty relics of a distant fate and bygone era of fortune and liberty. A small desk sits within the vines and decaying walls. Upon it, the faded pages of an archaic philosophy text lies open, waiting patiently for their student to return and resume his perusal of the worldly abstractions beyond the valley walls. Beneath its square balcony, an open air atrium descends to the earth floor, its columns remaining firm within the crumbling walls they have pillared for over three hundred years. Upon a burlap mat placed neatly over the ground, a shawl delicately draped across her shoulders, a 109 year old woman rests. She is the former queen of a thousand year empire. A golden empire stolen and returned through a century of war over the treasures of the ancient valley. She sits peacefully, wordlessly—a living relic of an impermanent past and the surety of the endless cycle of transformation and endurance. We speak and ruminate about living in the present, yet often I’ve only been able to access the idea through my intellect, not my heart. People are born, they grow, they transform and they die, yet something always remains. It may be intangible, but it’s there. And yet nothing is permanent either, for change is truly the single constant, the only guarantee we have. We become attached to things and ideas that we believe define who we are, who we want to be; namely, our egos. When we release this illusion, we connect to that part of us that is eternal, whole and unbroken. Finding this peace in ourselves allows us to face change with courage, in the understanding that this eternal part of us will endure through the cycles of transition. It offers us optimism for fearless transition to whatever is next in the knowledge that we have lived truly, fully, fearlessly—and with acceptance in the endurance of impermanence. As I sit on the sandy banks of the Indus, it’s a poignant metaphor for the mighty river we call life; changing but ever the same, polluted and pure, calm and vengeful, sweeping us into her current without discrimination and carrying us along her meandering path of transformation. Allison Flach is a writer, educator and social justice enthusiast raised in Calgary, Alberta. With a background in International Development and Education, Allison’s passion lies in women’s education, community development and endlessly exploring the world. 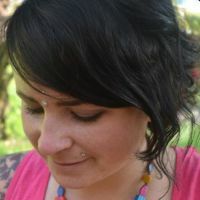 Allison currently spends half the year in Calgary teaching English and half the year in India, guiding curious minds through the wonders of the subcontinent. She drinks coffee in the morning, turmeric milk before bed and will be found on the beach or in the woods hiking, writing, yoga-ing and forever dreaming.